Great location. 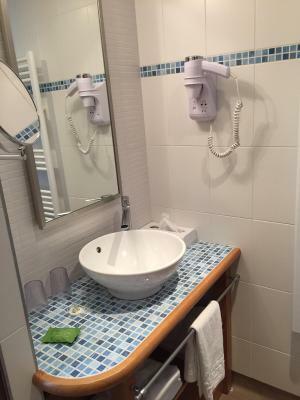 Very clean, comfortable room. Updated bathroom and a nice view. 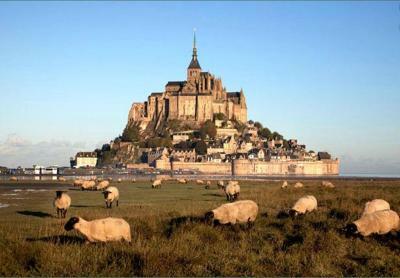 The prices for sleeping in the island of Mont Saint Michel are becoming uneffordibly expensive, year after year! 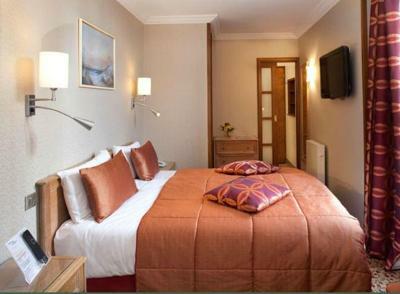 Lovely cosy hotel right in the Main Street. Great location. Location was beautiful. We had windows overlooking the bay which was great. Amazing view of the hill top (in our room at least), located inside the city walls, good restaurant. The room with sea view gave us an excellent view of the incoming tide. 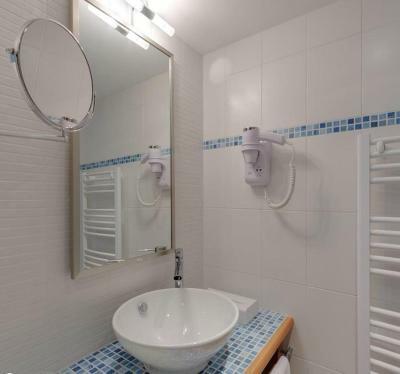 The room and bathroom are quite small but very well equipped and laid out. 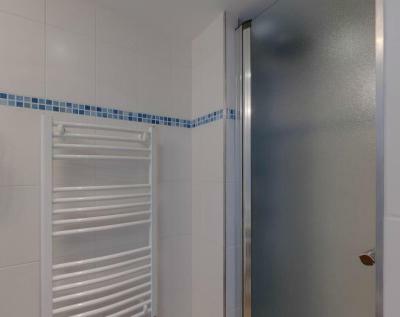 Comfortable bed, good shower. 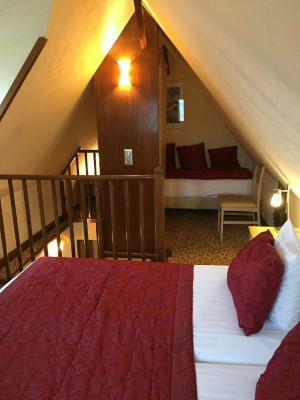 The rooms are up a lot of stairs so bring only minimum necessary luggage. Great to stay overnight to enjoy Le Mont in the evening and early morning without the crowds. Location awesome, room beyond expectation!! Staff onsite carried our bags up 5 flights of steep stairs while we went and started sight seeing. Reception personally showed us to our room and the amenities. Situated in the heart of Mont Saint Michel medieval Village, Hôtel La Croix Blanche offers a gourmet-style restaurant, a terrace and a bar. 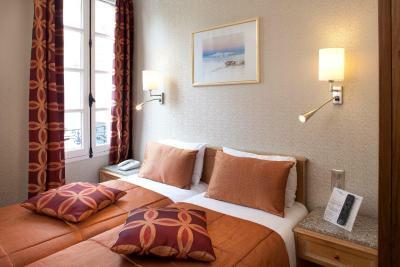 The rooms at Hôtel La Croix Blanche have a flat-screen, satellite TV and a minibar. Free Wi-Fi access is provided. A buffet breakfast is served every morning and includes bread, French pastries and marmalade. You can also sample cheeses, bacon and eggs as well as regional products. 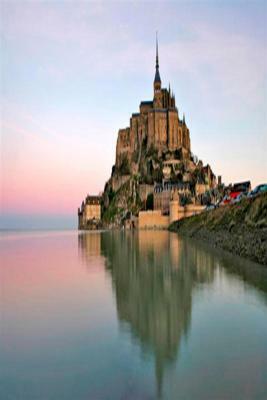 In addition to the visit of Mont-Saint-Michel and its abbey, guests can go to Saint-Malo, 31.1 miles from the hotel. Dol-de-Bretagne Train Station is 18.6 miles away. 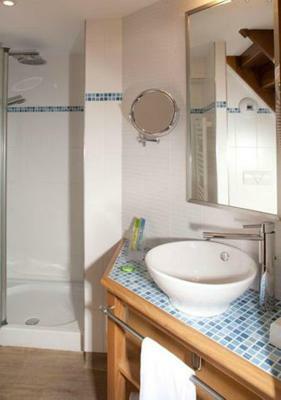 Hôtel la Croix Blanche has been welcoming Booking.com guests since 4 Feb 2013. 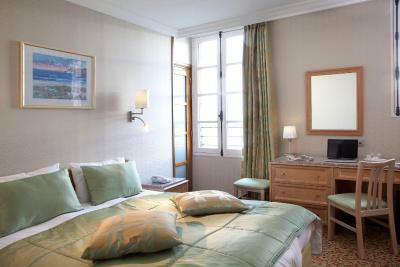 When would you like to stay at Hôtel la Croix Blanche? 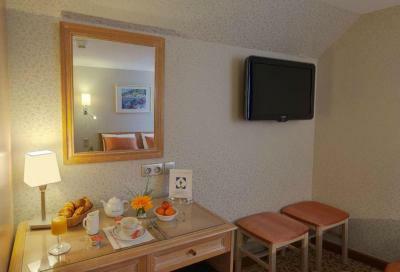 The rooms have a flat-screen, satellite TV and a minibar. Free WiFi access is also provided. Please note these rooms are located on the 3rd and 4th floors and are not serviced by a lift. The rooms have a flat-screen, satellite TV and a minibar. Free Wi-Fi access is provided. 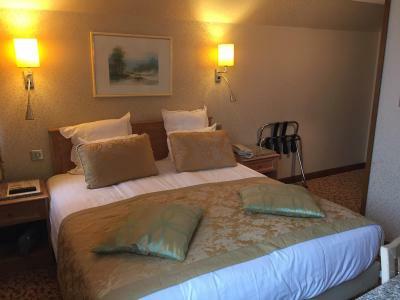 This twin/double room features a soundproofing, electric kettle and minibar. 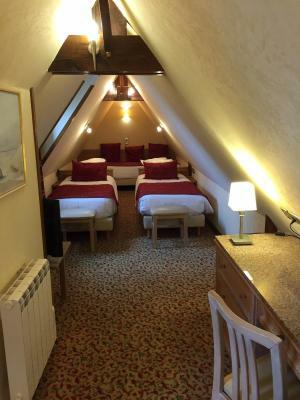 La Croix Blanche Hotel is in an ideal location, in the heart of a medieval village. 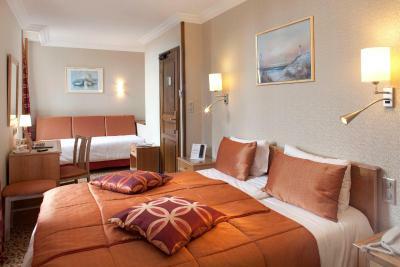 La Croix Blanche Hotel towers proudly above the ramparts, with a panoramic view over the bay and the sea. This view from the hotel is truly exceptional. 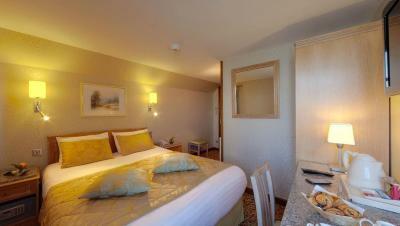 The well-lit rooms with their soft colours are very comfortable. And in the restaurant, the chef will cook you up specialities from both the sea and the land. House rules Hôtel la Croix Blanche takes special requests - add in the next step! Hôtel la Croix Blanche accepts these cards and reserves the right to temporarily hold an amount prior to arrival. Please note that the nearest car park is 1.2 miles away. Guest must request an access code to the hotel 24 hours before arrival. After receiving the code they can park there, take a shuttle bus and then walk 550 yards in order to reach the hotel located on the mount. There was scaffolding and netting all across the outside. We paid $100 more for the bay view, but ended up getting a view of the netting instead. Location was as good as you can get. Well a lot of stairs and not too many options for eat. The time for check out is too early 11:00 a.m. The place is beautiful, lot of nice spots and lot of ancient histories. You feel as you are in the Medieval times. Lots of stairs but we were very aware of that. There were extensive road repairs being done on the main road. While the hotel sent an email to that effect, they made no mention of what this meant. It was necessary to climb up to the ramparts (and down) with luggage to get to the provisional reception, then up again and around to access our hotel. Then down again and up several more flights to get to our room. We needed help with our luggage. This was such an ordeal that we didn’t visit the monastery as planned. Any exit from the room involved so much climbing that it effectively ruined our visit. The hotel staff insisted that we had been forewarned. I don’t think so! Never again ! The beautiful sunrise from the room was spectacular! The Mont is remarkable. The room exceeded expectations considering its age!! 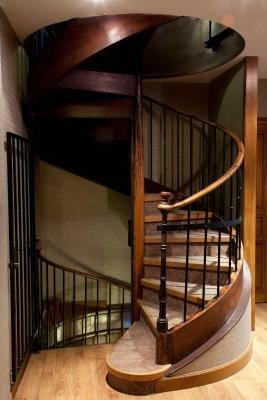 4 story circular staircase. Very dangerous. Was not lit at night. I knew there would be some drawbacks because the facility is so very old - and I like that. 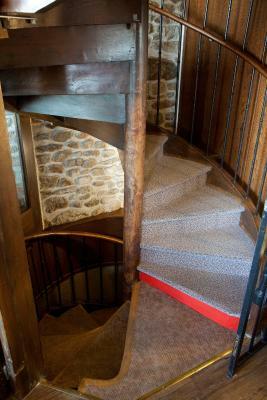 But it could really use new carpeting and freshening up. I think I detected that stale cigarette odor - needed cleaning, paint, new carpet. 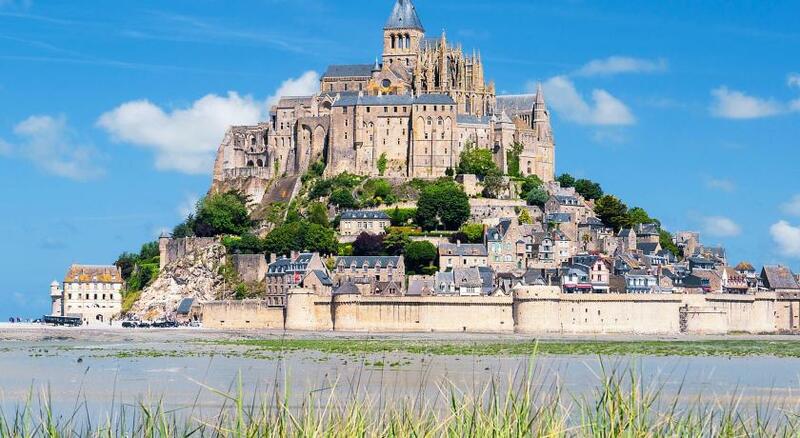 I booked the hotel for location and atmosphere on Mont St. Michel. Bed was very comfortable and the room was quiet. Breakfast was an added charge but it was very good. Staff was very friendly and helpful. See above, room top floor, very uncomfortable stairs. Unable to find the hotel easy. I liked the room acomodation. 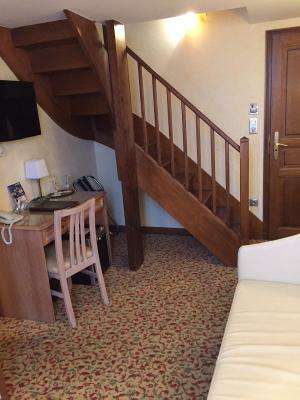 I dislike the effort, 5 floors up to get to the room, small stair it made me dizzy. i had to drag my luggage up 4 flights of tiny, european stairs, but that was the worst of it. the staff helped me carry my stuff up, which was incredibly helpful. noisy. hard to sleep with the seagulls and morning delivery trucks, but i was just so happy to be there. i didn’t care. bring good earplugs. the VIEW from my window was breathtaking!!! sleep here and have the place ALL to yourself early morning AND late evening! the most amazing photos ever! felt like we were here a week, but it was only 1 night. my favorite!!! There’s no air conditioning so you have to sleep with the windows open. But then, as previously mentioned in other reviews, there is a lot of early morning noise. So you get to choose between the noise or being too hot. The only saving grace of this hotel is it’s location. And, frankly, they know it.